What does the HABU(R) name mean? HABU(R) stands for Higher and Better Use. This is the fundamental concept behind using resources fully. We are passionate about the basic building blocks of matter - MOLECULES. They are the basis of all physical products. We believe they need to be "retained in constant service" by circulating constantly within a material ecosystem and never leaving it. The ultimate form of circulation or "closed loop" is for molecules from one product to continuously go back into the same product. For example: footwear molecules going back into footwear again and again. This form of idealistic molecular circulation is not going to be commercially viable any day soon for most products. 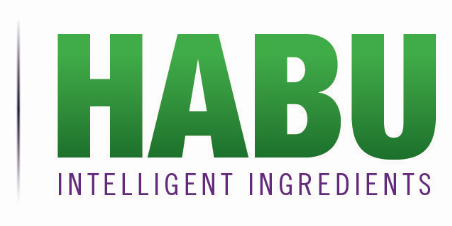 We will certainly pursue it, but in our interpretation HABU(R) can also mean putting good molecules captured from one consumer product into the components of completely different products. And we don't just mean molecules from end-of-life products. Thousands of tons of manufacturing waste is produced that could be used in different products in unrelated industries. For example, a HABU(R) solution for manufacturing waste from footwear production is its use in carpet cushion. HABU(R) is doing the best thing NOW instead of waiting for the time when all molecules can used as first intended by the manufacturer. We are pleased to announce the registration of HABU(R) as a Service Mark with the brand protection that it and all its partners deserve. We look forward to working with our existing and new partners to build it as a widely recognized symbol of responsible resource management and plain good business sense. 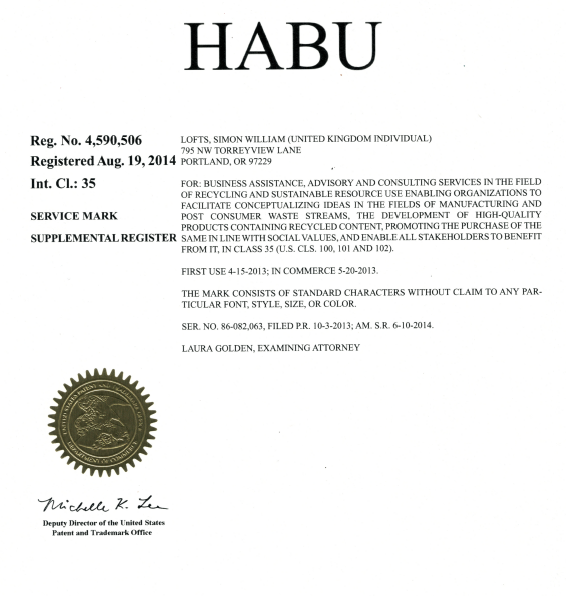 Click here to see the HABU(R)Service Mark certificate.